Our travels are usually motivated by climbing, but invitation to a wedding in Macedonia was opportunity to travel Petra and I happily embraced. We packed suits and dresses, and hit the south (of course we left some room for climbing equipment). The wedding itself was extraordinary experience: wedding in the ancient orthodox mansion, traditional music, oro dance, slapping money on musician’s forehead, ordering rakija and having served a full jar of it – all night long… I could go on and on and easily devote the entire blog post just to the wedding, but this blog should be about climbing, shouldn’t it? Climbing-wise, Macedonia is most known for its world class bouldering venue Prilep. However, summer is way too hot for pulling on extremely sharp granite in Prilep. So, as an attractive sport climbing alternative, the local climbers suggested Demir Kapija. Demir Kapija is a small town in south-eastern part of Macedonia, sitting on the bank of Vardar river. 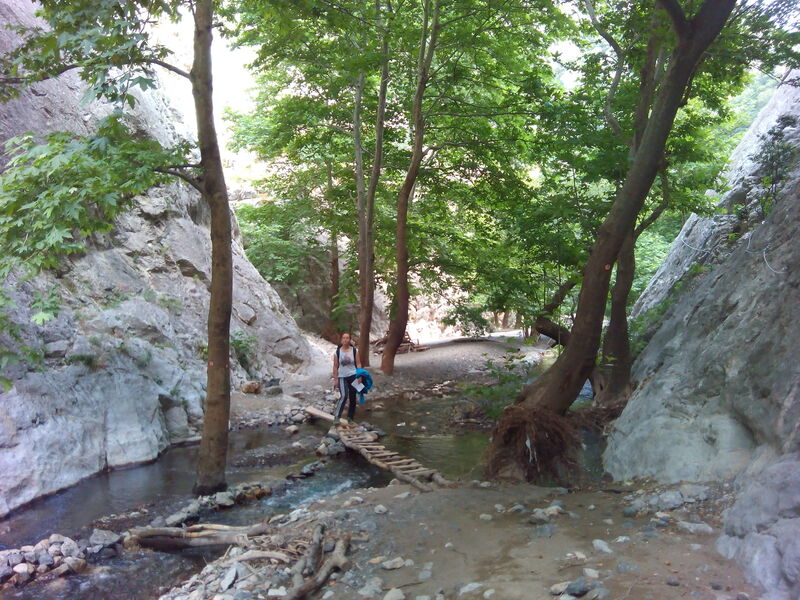 The river has carved a narrow canyon through the mountain, which earned the town its name – Iron Gate (from Turkish Demir Kapı). We had four days to explore climbing sectors scattered through the canyon – and we had a great time. 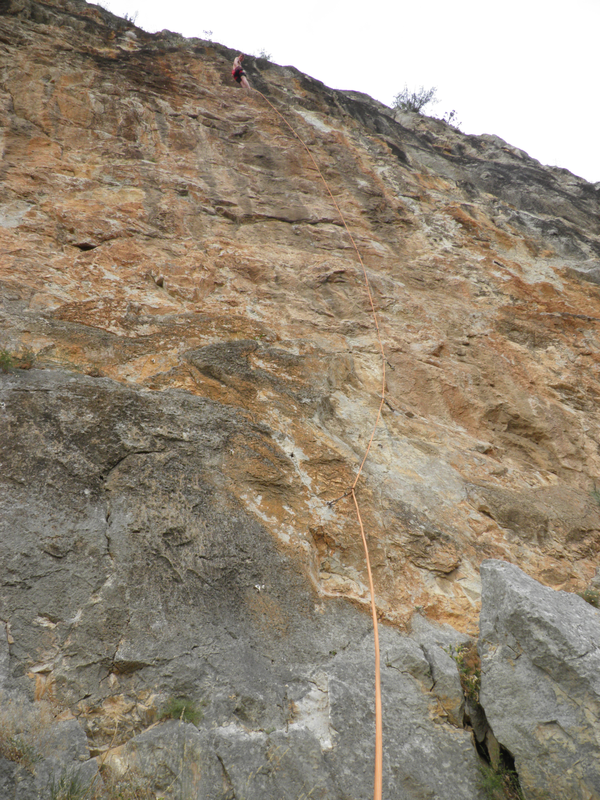 My favorite sector was Vardarska sahara, yellow, slightly overhanging wall, with incredible routes up to 30m long. The climbing there is technical, crimpy, and super-sustained – one of the most sustained routes I ever climbed on. With all that rakija consumed during the wedding party powering me, I had no choice but to do most of the hard routes in Demir kapija 🙂 Here’s my tick list: Porošenok (8a, 2. go), Zabushant (8a, 2. go), Kalabaster (7c+, OS), Drozzi (7c, OS), Jamal (7b+, OS), Jelat (7b+, OS), Crna 2 (7b, OS), Chekor po chekor (7b, OS), Skapa žena (7a+, OS). Petra did her second 6c in just few goes, and skipped few grades in onsight style by doing a notorious 6b+ slab, where the crux involves literally no handholds, and only one downward facing foothold. If you travel to Demir Kapija, don’t expect huge rock faces and hundreds of routes, but there is a decent amount of well bolted, quality routes. However, what will you get in return is a memorable experience of Macedonian lifestyle, pristine nature and awesome (and cheap) food. I have to advertise restaurant Kutchkin where čevapi were out of this world! A man to search for is Alex Klenov. 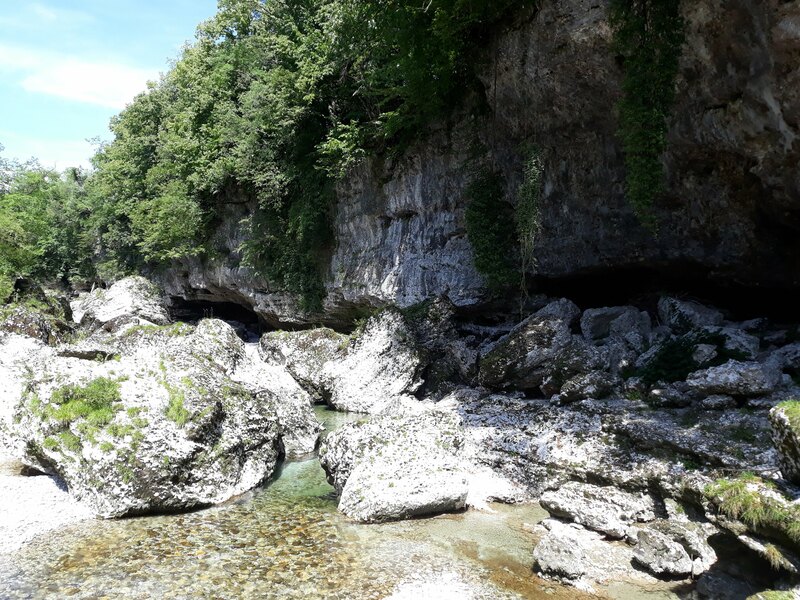 A Russian guy with permanent address in Demir kapija, who runs the Rock Land Camp, and knows everything you need to know about climbing there. Fun fact: he competed in BWSC 2006! 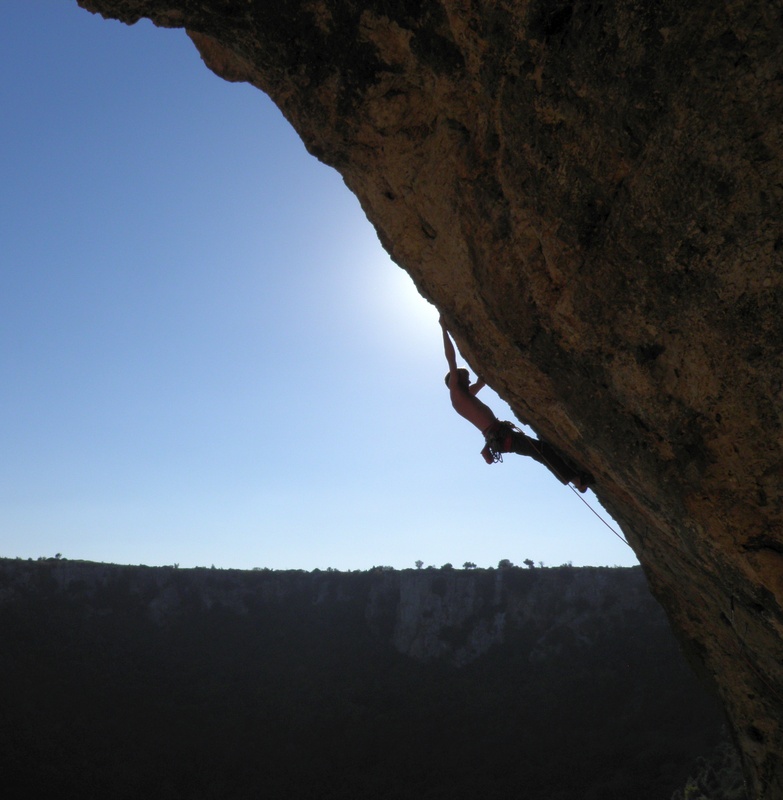 After Bari, another southern adventure is on agenda: We booked tickets to a Spanish climbing paradise – Chullila. Overhanging sector Coloseum, home to two briliant routes: Zabushant and Kalabaster. When the holidays arrive, we climbers often feel almost obliged to travel to some distant place in search for “the best” crag that ever existed. We sit in a car, drive as far as humanly possible in one push, climb a few routes, then reverse the driving torture, catch some sleep, and endure that cursed Monday totally wrecked at our jobs. Sometimes I wonder, why I just went to a place with 500 routes, only to climb 20 of those? Don’t get me wrong, I have nothing against visiting places like Rodellar or Ceuse, but my point is that maybe sometimes it is possible to please climbing appetite at your doorstep – as good as in Spain or France. Driven by the former “wise” philosophical discussion, the day before departure to our dream crag 500km away, Petra and I decided to head for the good old Buzet instead. Istria is slowly (or maybe not so slowly?) but surely becoming a world class climbing destination. There are numerous high quality crags, with different orientation, making it possible to climb all year long. Also, historic Istrian towns, like Grožnjan or Motovun, are absolutely charming way to spend rest days, or just to have a coffee between morning and afternoon climbing session. As an added value, there is a good chance to bump into old friends, which know all the beta, and will help you to send your project faster :). Pengari sector – it doesn’t get much better than this! Climbing-wise, I was feeling in a great shape. By some miracle, I could crank hard crux moves, while being totally pumped. I can’t remember the last time I had this quality – or when did I acquire it :). I managed two 8a routes 2.go in the same day (Too late and Šefka), which is my new personal highlight. Also, I onsighted absolutely phenomenal 7c+ called Skitalica, and a bunch of routes in 7a-7c region. 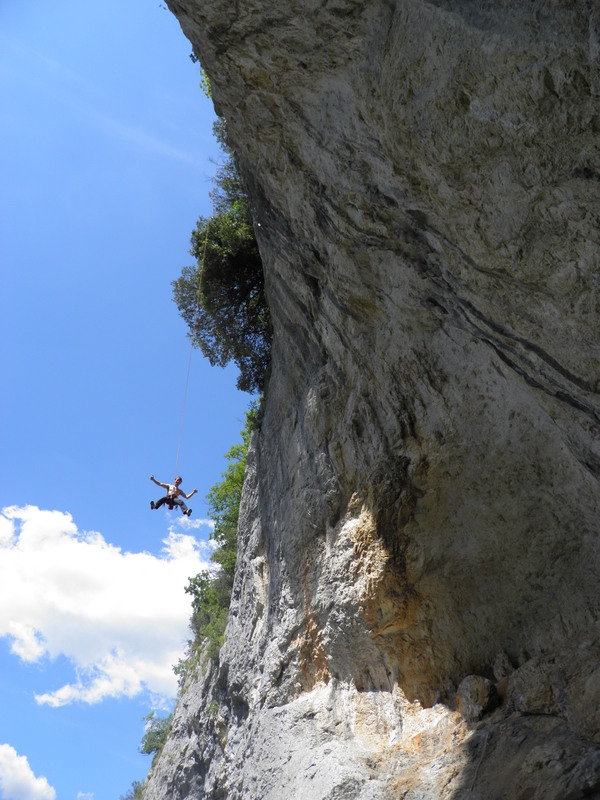 Enjoy few picture from our Istria trip, and see you at some (domestic) crag :). Siurana is a piece of climbers’ heaven in the heart of Catalonia in Spain. I briefly visited it few years ago, and was completely blown away by the place. That time, we also visited other major crags in Spain, like Rodellar and Margalef, but Siurana, with its magical atmosphere and rich climbing history, left the biggest impression on me. Yes, I have an itch for places from old climbing movies and consider that the early Masters of Stone series are the best climbing movies ever made :). 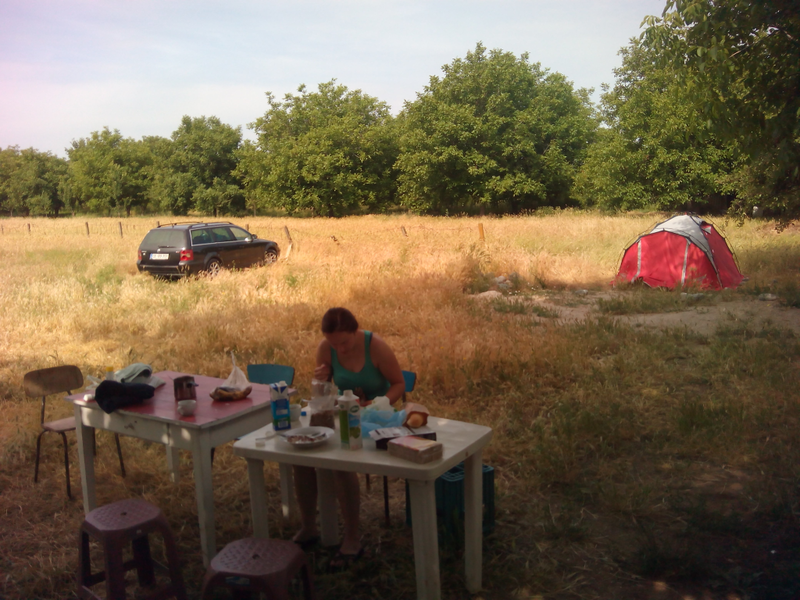 This time we decided to devote the entire trip just to Siurana. My girlfriend Petra, and I teamed up with the crew from Zagreb: Pavao, Nikola, Sven, Ana and Ljubo – the psyche machine, for a two weeks of climbing. The village of Siurana sits on top of the cliff, surrounded by endless amount of yellow and gray rock. The climbing in Siurana is more on the old school side: technical routes on gentle overhangs mainly with crimps and pockets. More than 60 sectors scattered around and 1000+ of routes, can keep you busy for years (or lifetime if you surname is not Ondra). Today, you can often encounter a phrase ‘Spanish grades’, but the locals are vigorously guarding Siurana from soft grades. The grades are not super stiff like in Buoux, but you will rarely find an easy tick, and if you do, it will likely be downgraded in the next guidebook issue. Anabolica, one of the most classical 8a’s in Siurana. We ended by taking just 2 rest days on the entire trip. This was not optimal for climbing performance, but the psyche was too high for sitting in the camp. I climbed around 45 routes up to 8a, with several 7c onsights. My Siurana highlights are: Antuan Pirulero (8a, 2. go), Skateboy (7c+), Pequeño saltamontes (7c+), Solos a solas (7c, OS), Boys don’t cry (7c, OS), Der palo torete (7c), Malcarat (7c). 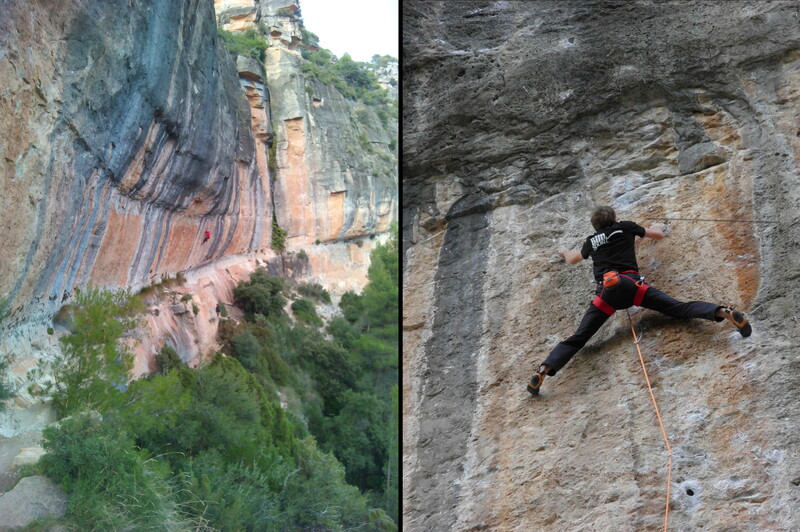 We also visited nearby climbing area Montsant, where I onsighted amazing 50 meter long 7c called Kamaleon. Nice interior decorations in Bar Siurana 🙂 As always, thanks to Bim sport d.o.o. 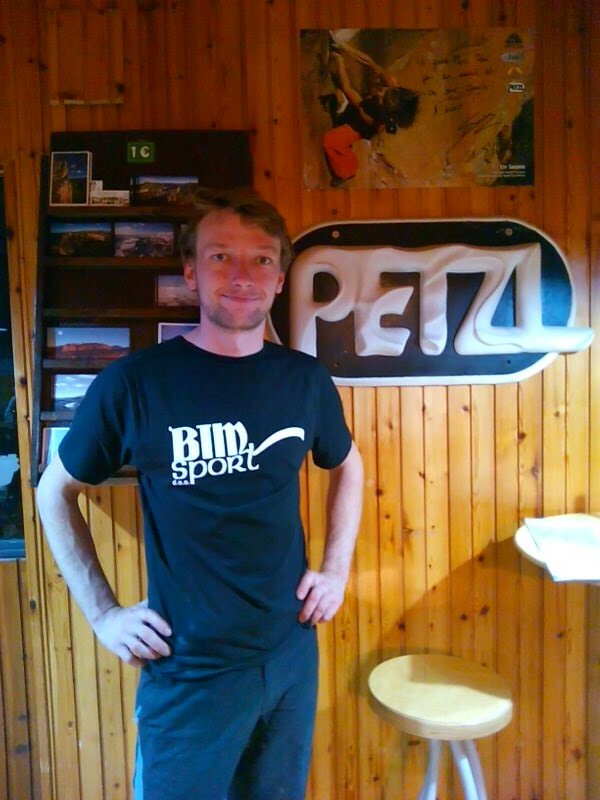 and Petzl for support. It’s been three weeks since we are back, and I’m finally starting to recover from the post-rock-trip depression :). We flew from golden Catalonian sun directly to the season of endless rain and fog in Slovenia. Sometimes you get a desire to drop the job and spend few months dirtbagging under the cliff. It amazed me how many people are actually doing exactly that. 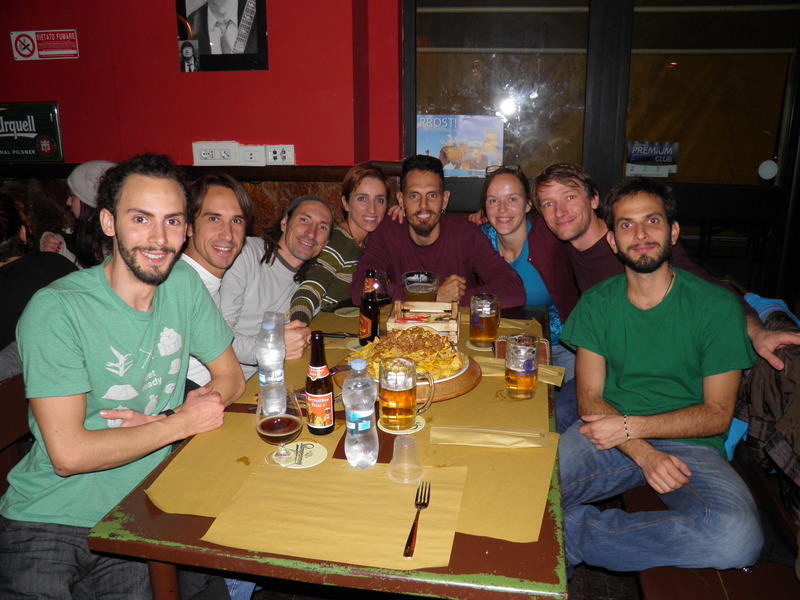 We meet numerous people from all over the world who are traveling for months just visiting top climbing venues. Climbers are really innovative when it comes to traveling cheaply and fitting jobs around climbing. I met a guy who is doing (a part of) his PhD in Siurana! Well, it’s time to start ‘innovating’ :). Thank you for visiting Levaticbros! Until next time, Jurica. The cliffs in Montsant are huge! In Tarragona, eating paella is a must! The crux move in Anabolica, unfortunately I fell past the crux.